Click on EVENT Calendar and see if your date is open. Allow 8 BUSINESS days for us to receive it and call 410.920.3131 to confirm receipt. No sense calling too soon, we do not have a full time staff to process it. We'll do our best to process it quickly. 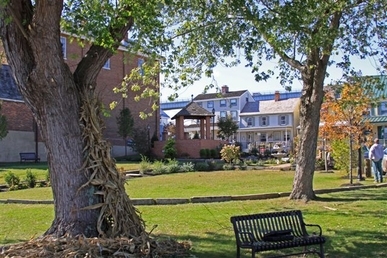 The Waterfront Park is available for weddings and other events for a donation of $450.00. This allows for 2 hours before the wedding and 2 hours after for clean up. Usually we can allow set up ahead of that schedule due to no conflicting events. Rehearsal can be Thursday or Friday night as needed, working around any other scheduled events. Again, this is not usually a problem. There is a fee of $100 for use of a large tent to repair any damage. This fee is not for the tent itself. A caterer must have an off premises license to serve liquor to guests for a reception. The law requires carding those persons the same as any Maryland bar. There is a $200 charge for a reception in the park. Please provide the name of the Wedding Coordinator or Reception Hall if at all possible. 1. Click on EVENT Calendar and see if your date is open. 5. Allow 8 BUSINESS days for us to receive it and call 410-885-2415 (Harriet) to confirm receipt. ( No sense calling too soon, we do not have a full time staff to process it. Pell Gardens is joining the Chesapeake City Fire Compnay is offering a lifetime reminder that your wedding took place in Pell Gardens.